Not all games are supposed to make you smile. After committing his own story to the recent PSN title Papo & Yo, Minority Media's Vander Caballero knows a think or two about packing uncensored emotion into the gaming medium. Using that exact expertise, he's chosen interactive story game Soledad by Team AlebrijeTeam as his pick to join Protein Pirates, Cheese and Punishment, A Letter for My Valentine, and The Garbage Collector as finalists for Indie Speed Run 2012. Soledad is the difficult, emotional story of a one woman's troubled life and memories. Players will travel between different scenes and stories chronologically, until finally realizing why they've been taken on this journey at all. The result is an emotional experience that places emphasis on storytelling and narrative structure. 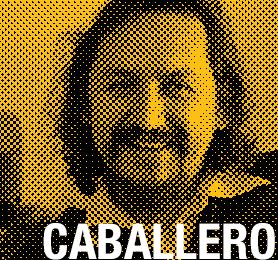 "I strongly believe the future of videogames lies in the exploration and understanding of human conflict," Caballero explained. "Videogame simulation is the ultimate medium for artists and designers to share their own insight into those conflicts. I picked Soledad because I was really impressed that a small team could craft such an honest game experience in only 48 hours. I also come from a troubled childhood. Soledad helped me realize how my sister felt when I left home. Kudos to the team." You can play Soledad for yourself or check out the other finalists on The Escapist for free. With Caballero's choice made, only four more games will be named as finalists and be eligible for the $2,500 prize. One will be chosen by Markus "Notch" Persson right here on The Escapist in 48 hours, while the other three will be chosen by you. Judging for Indie Speed Run is as easy as playing a ton of games right here.